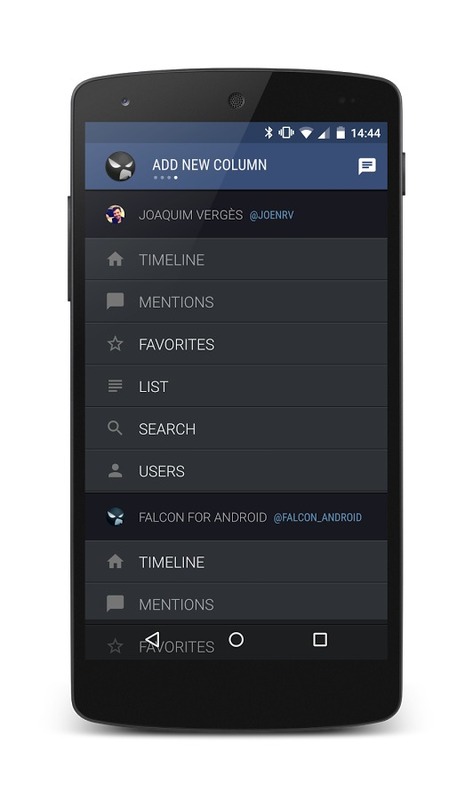 Falcon Pro 3 is the new app from developer Joaquim Verges, he is the developer of the good old Falcon Pro apps, but now he brings a new app with Material Design. Falcon Pro was always one of the best Twitter apps that you could get into Google Play, until it reached the token limit. This limit, which is maintained by Twitter, ensures that such apps don't get many users. Because people will use 3rd party apps and forget about the official Twitter. 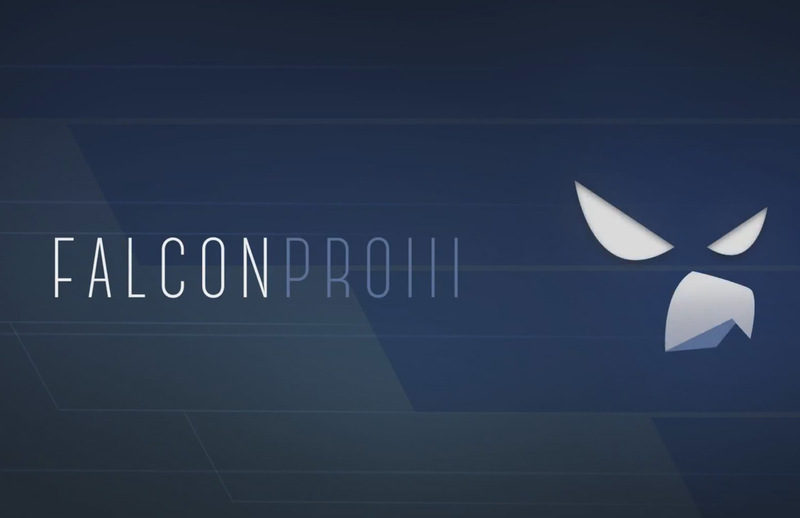 However, the token limit resets for Falcon Pro 3, which as a whole new app in Google Play is launched. 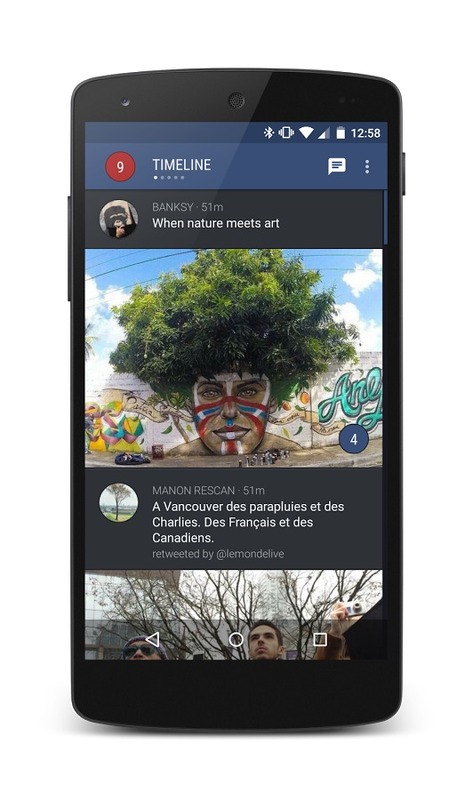 Falcon Pro 3 features new Material Design, with animations and effects for Android Lollipop optimized. 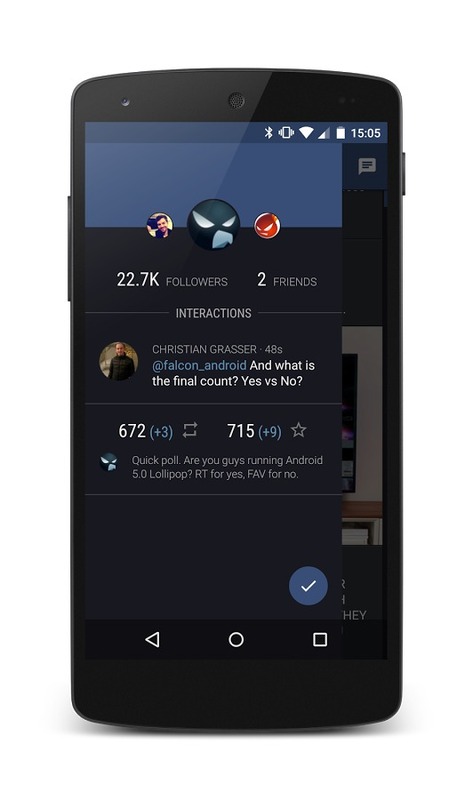 In addition, the app keeps his dark looks, including a handy drop down menu to view your own profile. You can also work with several columns that you can organize yourself. Drafting a tweet goes smoothly and quickly, where you have the ability to send a tweet from multiple accounts. You can also quickly add a picture to your tweet. Furthermore, there are no additional settings or widgets available, making the app still feels a bit bare. Vergres is the time to come to work to expand the app. If you want multiple accounts, though, it'll cost you. The free download only allows you to test the app with pre-defined lists. Adding your account requires a $3.99 in-app purchase to unlock the full app. Additional account slots are $1.99 each, but they transfer to all your devices. I'm fine with this setup—it seems like a good way to keep token usage from getting out of control.